If you are among the many, many Americans for whom this election season caused massive anxiety, it might be nice to take a moment and fantasize about what your life could be like in a country besides this one. There are somewhere around 9 million American civilians currently living abroad, which for scale is one New Jersey's worth of us out there roaming the world. Where to go, though, is an open question. Whether a country has a lot of English-speakers or a favorable cost of living or an immigration process that’s (relatively) navigable, some are easier for Americans to move to than others. Whether you’re thinking of Europe or Southeast Asia or South America, these countries make a pretty compelling case to leave everything behind. A little food for thought before you read on -- consider all the times you’ve heard the term “expat” applied to (predominantly white) people from Western countries, and “immigrant” or “migrant” reserved for (predominantly non-white) people entering Western countries. Living abroad is a great way to gain a new perspective not just on a new country, but in your home country. A note on the numbers: We've used the price index from the website WorldData to quantify costs of living in each country. The global index is adjusted to a US cost of living as 100, so a country with an index of, say, 80 would mean that that country is 20% cheaper to live in than the US, while an index of 120 would mean 20% more expensive. If you’re curious, the highest index of the 101 countries rated is Bermuda at 180.5, while the lowest is India at 31.7. Why you'd want to live there: Downtown Prague may be growing more expensive thanks to a tourism boom, but it’s still a ways off from being the next Berlin or Amsterdam. Newcomers can enjoy the liberal European attitudes, the stunning medieval architecture, charming Christmas markets, and decide for themselves what they make of gentrified neighborhoods like Žižkov and Vinohrady. Even outside of Prague, the Czech Republic is one of Europe's most beautiful countries, packed with green countryside and spa escapes. Also a good place to smoke weed! What's the catch: The hardest part of settling is getting up to speed with the Slavic language. 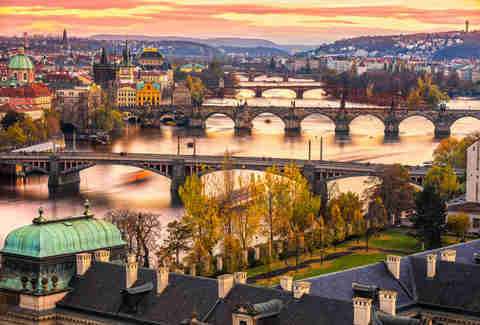 Most rent-controlled apartments are only advertised in Czech, and you'll likely need to hire a translator or Czech-speaking agent for visa appointments. And there can be a lot of red tape when it comes to things like getting a driver’s license, which is required if you plan to stay more than one year. You'll have to relive 10th grade all over again with the whole shebang of lessons, exams, and practice hours -- though you do get a much cooler payout at the end. Why you'd want to live there: It’s easy to move to! 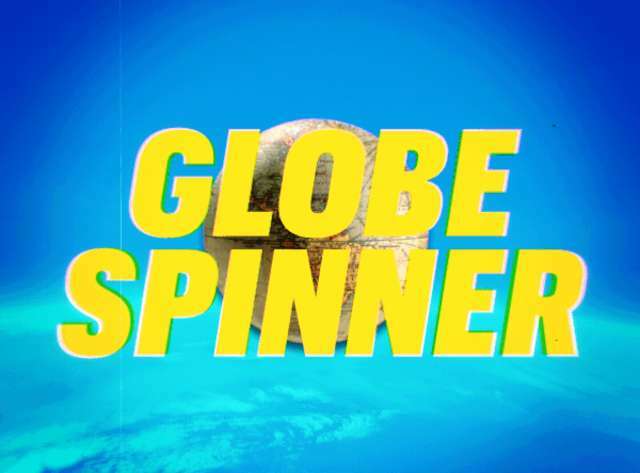 Australia's funkier, less desert-y sibling is an entire day's flight away from America -- you can scarcely get further away on the planet. Yet Kiwis speak English, so you'll feel vaguely at home, especially if you're into hiking, scuba diving, skiing, winemaking, Lord of the Rings scenery, or the world’s first human catapult. Maybe you mostly want to use it as a home base for exploring Australia, Indonesia, and Oceania, but you can always stick around and work a while. There are a range of obtainable options for work permits and emigration visas, if you're under 56 and ready to relocate. What's the catch: You're not going to find the bargains of, say, Southeast Asia. The cost of living in New Zealand is a bit higher than in the United States, which isn't great if you want to keep up your American standards of housing and dining out. Rent and home prices in Auckland are notoriously rising. So hot right now. Why you'd want to live there: Besides cheap beer and wine, schnitzel and the Autobahn, Germany's got much to offer weary Americans. Being smack in the middle of the continent, it's prime territory for weekend getaways. 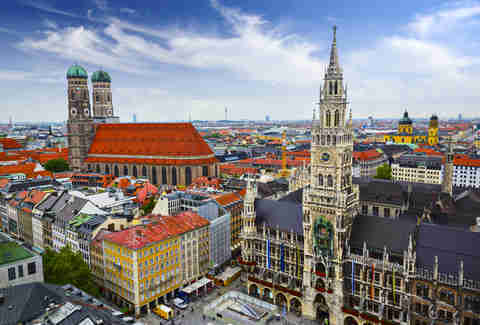 From Munich, a four-hour drive will get you to Switzerland, Austria, or Italy. A two-hour flight will take you almost anywhere in Europe. A diverse melting pot is thriving in Berlin, the fatherland's most international city, where a low cost of living meets a tech startup boom and parties galore. In gentrified neighborhoods like Prenzlauer Berg and Kreuzberg, you'll hear English quite often on the streets -- sometimes even more than German. What's the catch: Didn't you hear that ze Germans love bureaucracy? Americans can enter the country with a three-month visa on arrival, but an official move requires multiple visits to various government bureaus, where you'll need to provide streams of documentation. Simply opening a bank account or getting a mobile phone creates its own paper snail trail. Also, the secret about Berlin is out. The job market for foreigners is very competitive these days, and the struggle is especially real when it comes to finding a place to call your own. Showing up at apartment viewings to compete against 20 other hopefuls is just the way it is. Why you'd want to live there: Because it feels like California broke off from North America, headed south, and grew a rainforest. A steady democracy that spends its money on education instead of the military, Costa Rica has been chummy with the US for more than 150 years, making culture shock minimal. A million Americans visit the country every year, and the Ticos have put those dollars back into infrastructure -- reliable airports, deluxe highways, huge conservation districts -- that make the country easy to get around and easy to enjoy. It has volcanoes, mountains, beaches, and oodles of badass animals. The literacy rate is one of the world's highest. If you have a full-time job you get Aguinaldo -- an extra month’s salary at Christmas. Not surprisingly, the people here report being pretty dang happy. What's the catch: Food costs more than you'd expect. Property crime is a thing; if you have nice stuff, or even the appearance of nice stuff, someone may try to steal it. There are no addresses, so if you need something mailed down, you might have to wait for a friend to bring it in a suitcase. Tourist visas are a cinch but residency can be slow going for anyone who's not working for a big company. Foreigners have already snatched up most of the property bargains. If you're really keen on moving to an up-and-coming American-friendly isthmus, keep driving ’til you hit Panama. Number of Americans already living there: Best guess? Maybe 30,000. Why you'd want to live there: Thailand is the most livable of tropical paradises, with a storied history of friendliness to outsiders, strong infrastructure, and incredibly low living costs. Bangkok (the capital) is a vibrant, thrumming metropolis where $600 a month will get you a furnished apartment in a high-rise complex, with a pool, sauna, and on-site gym. Good thing rents are cheap because foreigners aren't allowed to own land in Thailand (though you could buy yourself a condo). Perks like taxis, massages, and street food are all inexpensive here. 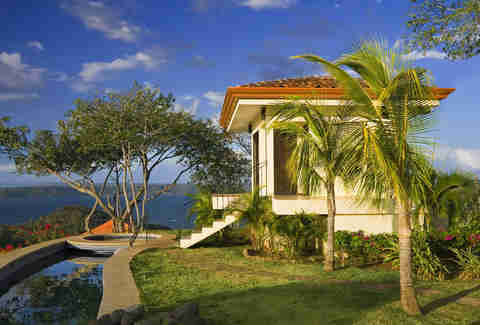 And if you can do without city comforts and embrace a simpler life, there are even better deals on island bungalows. Thailand is rather centrally located in Southeast Asia, so it’s a great hub for exploring other countries (and with the budget airline AirAsia, you can do it for cheap). No wonder so many digital nomads call it home base. What's the catch: Tight visa rules make long stays in Thailand tricky. Haunting your dreams will be the "visa run" -- a 10-hour bus ride to a border and back just for a fresh passport stamp. Long-term work visas are unicorns. Companies are hesitant to give them because of a law stating four Thais must be employed for every foreign worker. The Land of Smiles has also been racking up military coups and violent protests in recent years, and that was before the king of 70 years died. Thailand has been under army rule since 2014, stabilizing the country for the time being, but worrying many about the long-term state of human rights. 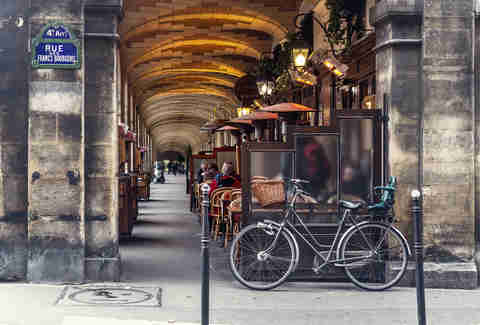 Why you'd want to live there: Here's the norm in France: 35-hour workweek, 90-minute lunch breaks, wine at pretty much every meal, no open-container laws, unpasteurized cheese, great soccer... living the dream, in short. Grab a coffee by the Seine to pass all the time you have off. In addition to the short workweek, French employees are given five weeks of paid leave along with 12 federal holidays a year. Prowl the museums of Paris, but know that there’s so, so much more besides Paris -- the restaurants of Lyon, the beaches of Cannes, the vineyards of Champagne. As you work less in France, you'll live more. What's the catch: The French aren't renowned for their embrace of foreigners. And no, high school French and an admiration for Amelie aren't going to help you cozy up to the cool Parisian crowd. If you don't have a French-born significant other, expect some serious social isolation. Also, getting a work visa is notoriously difficult, so if you don't have full-time employment in France, prepare to live below the law. Why you'd want to live there: It’s like a love-child of Alaska and Vermont. You'll probably already know the language and can skip a lot of the culture shock in favor of cultural immersion: get into fringe theater and circus arts in Montreal, explore the food scene in Toronto, or become a tree planter in British Columbia. Discover ketchup chips. The US dollar is still strong against the loonie, so your lower cost of living also comes with eco-consciousness, diversity, amazing food, low crime rates, excellent public education, healthcare, a stable economy, and most importantly, more nature than you can even bother to care about. (Canadians are so obsessed with nature that their version of The New Yorker is named after a sea mammal.) Wander around Canada's mountains and glaciers and beaches and islands to ski, surf, kayak, dive, hunt, hike, or just hibernate in a house on the prairie. And you can take your pick of several different ways to move to Canada. What's the catch: Canada's notoriously livable cities are getting silly expensive. 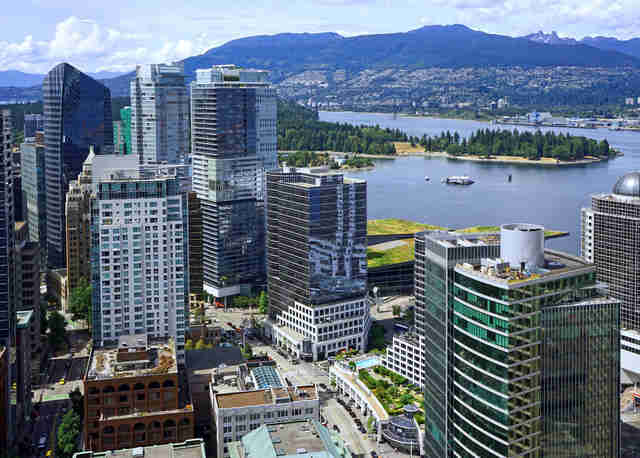 Foreign investors have made real estate prices rocket in Toronto and Vancouver, despite limited job opportunities. Canadians are oddly cliquish when it comes to hiring. They tend to value "Canadian experience," whatever that is, over the skills you bring from abroad, especially if you want to be in the forefront of the tech, business, or arts sectors. All that wilderness can get lonely in the long gray winters. 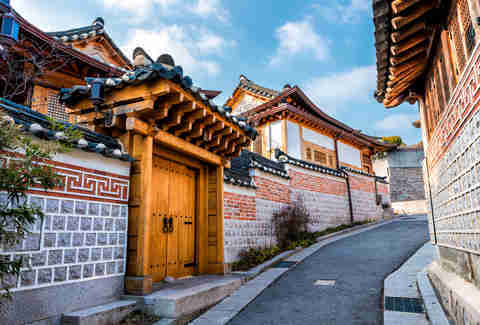 Why you'd want to live there: Between the enduring popularity of K-pop, K-dramas, and Korean cuisine, South Korea is having an ongoing pop-culture moment. 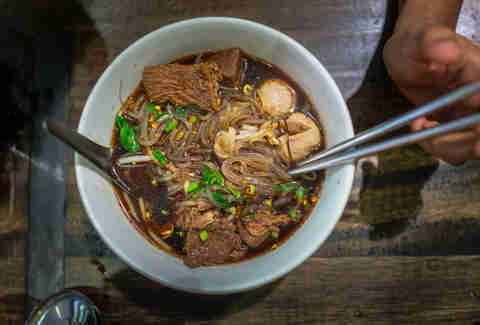 But Americans love it here for the metropolitan behemoth that is Seoul, which holds home-grown treasures of the entertainment, culinary, and cultural varieties, as well as pleasures from home (Shake Shack, anyone?). This mountainous, low-crime nation is crazy modern, with some of the fastest Wifi speeds in the world. Public transit is a breeze, with most signs in English, and you can get from Seoul in the north to the beachy Busan in the south in under three hours. Baseball and boozing are pastimes, with open-container laws allowing for soju in the streets. Housing can be pricey sans roommate, but otherwise, the cost of living is surprisingly low. What's the catch: Unless you're in English education (in which case you’re in luck!) visa-sponsored jobs can be hard to come by. Vegans will find this pork-obsessed place tough. The weather is extreme, with long, frigid winters and blazing, humid summers. Updates about Kim Jong-un's nuclear aspirations may not sit well. It's 12 hours to the westernmost point in the US, so forget weekend jaunts home. Finally, online censorship is real, so have a VPN (virtual private network) handy. Price index compared to US: Not listed on WorldData, but Numbeo estimates the country’s cost of living to be around 19% lower than in the US. Why you'd want to live there: It's the rare land in the Americas with a stable economy and almost no inequality or violent crime. It has a functional political system with little corruption, a highly educated population, and progressive LGBTQ laws and attitudes. Marijuana is legal to grow and to possess for personal use, and public transit in Montevideo (the culturally rich capital city) is good enough you won't need a car. The wine, the beef, and the national soccer team are all world-class, the Atlantic beaches are among the best in the world, and the temps in the winter never fall below freezing. A nation the size of Washington State, Uruguay has maintained its even keel during the political and economic turmoil of its neighbors Argentina and Brazil. Particularly since the 2010-2015 tenure of President Jose Mujica, who famously spent his term living in a humble farmhouse on a dirt road, the country has become the darling of the liberal world. Native Uruguayans will be the first to tell you that their country is far from perfect, but they're an incredibly welcoming lot, so they'll tell you in the most friendly and helpful of ways. What's the catch: A decent standard of living doesn’t come cheap, although food and rent are very reasonably priced. But if you want to own a car (you’ll need one unless you're living in Montevideo) you'll pay double what it would cost in the States. Bring your smartphone from the US because electronics are expensive as hell. And while violent crime is quite low, common thefts and muggings in Montevideo require constant vigilance. 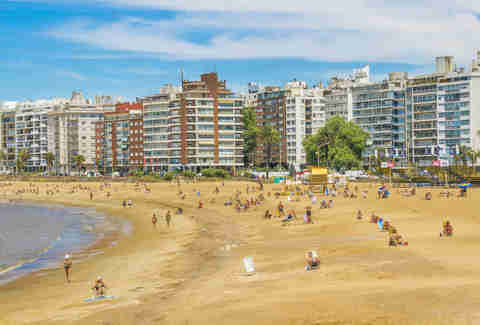 Still, it's not overly burdensome for foreigners to buy property in Uruguay, and there's a path to residency -- and a nice social safety net that comes with it -- that doesn’t require bribery. But to navigate the bureaucracy -- and daily life in Uruguay -- you'll need near-fluency in Spanish, because almost no one speaks English. 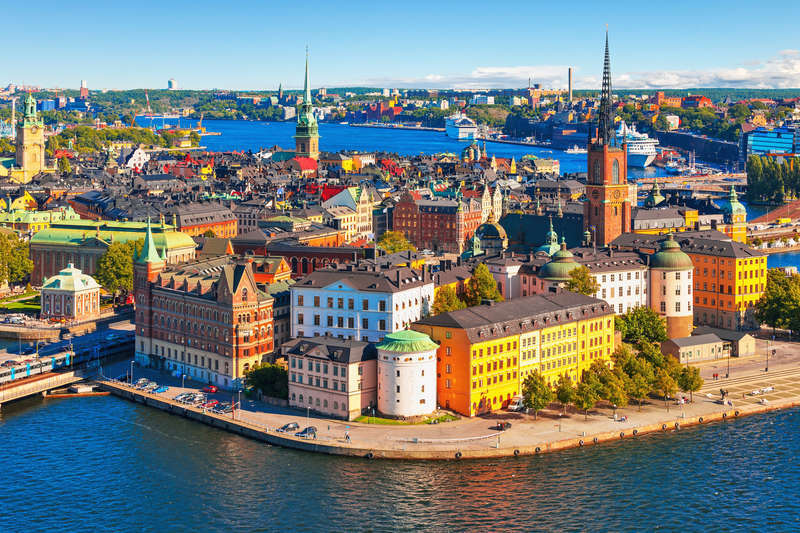 Why you'd want to live there: While it’s far from cheap to live in this magnificent northern land, Stockholm is still a bargain compared to, say, New York City. The nation has a strong economy with plenty of industries hiring, and your native English may actually be an asset in finding work. The Scandinavian country is absorbing immigrants -- many of the Syrian refugees -- at a commendable pace. 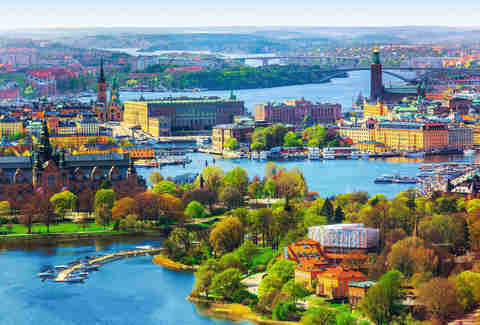 And unlike the weak-kneed nationalists in places like France and the United States, the Swedes are making every effort to assimilate newcomers into a country that offers some of the finest education, healthcare, public services, and saunas in the world. Net result? Folks are happy here. What's the catch: Winter's not just seriously cold (January and February temperatures hover between 20 and 30 degrees Fahrenheit), it's bleakly dark. Also, the Swedish language is tricky (those unpronounceable IKEA furniture names are just the start of it) and learning Swedish really isn't going to help you anywhere else but Sweden. 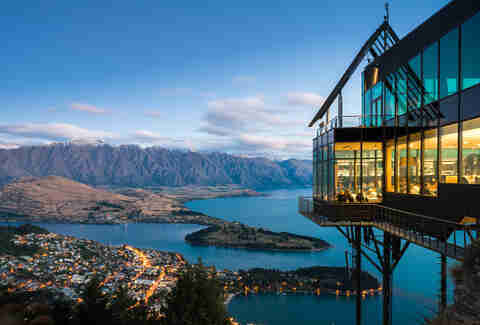 Why you'd want to live there: You'll eat lavishly, every meal of every day. 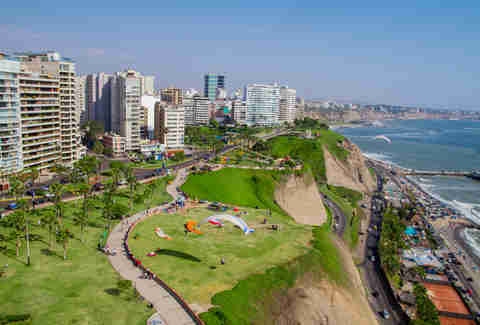 Lima, Peru's capital, rocks a food scene as good as anywhere, with a mix of Chinese, Andean, Japanese, and enduring Incan influences. Put it this way: no country that cultivates 5,000 different varieties of potatoes is anything but deadly serious about food. When you stand up from the table and head out into the country, you'll find a beautiful and incredibly diverse land, dotted with the incredible history of the Inca Trail, Machu Picchu, and Nazca Lines. Plus plenty of Pacific beach towns. Under Pedro Pablo Kuczynski, the mild-mannered centrist (kind of a joker?) who served as president until earlier this year, the relatively stable democratic republic has invited business investment and tourism dollars. Quality dentistry and medical care are bargains, especially in Lima. If you want to go kick the tires for six months, you can; your tourist visa is good for 183 days. And above all, Peruvians seem to genuinely like Americans. What's the catch: You'll be unemployable if you don't speak Spanish, though there is a need for people who can teach English. Some parts of Lima are not terribly safe. Society at large is more socially conservative and traditionally macho than you might find strictly comfortable, especially if you're not, you know, a man. And despite its status as a world destination, Peru doesn't feel pressure to run on time. Of course, depending on your disposition, this might be a huge plus. Why you'd want to live there: If you are ready to leave America and have some money in the bank or a steady, work-from-anywhere income, then you should go directly to Greece and live like an ancient king. The cradle of Western civilization happens to be a bargain these days, which is bad news for the Greeks but good news for long-term visitors. You'll be rolling in fresh feta and tzatziki. 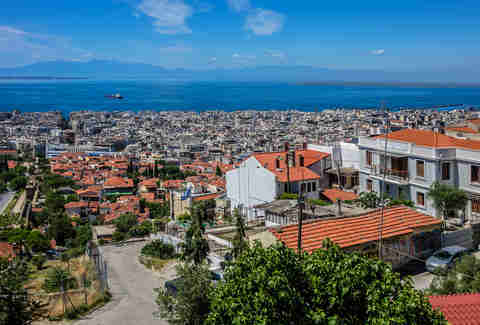 I am thinking specifically of Thessaloniki, a gorgeous cultural capital set on the Aegean Sea in the country's northeast, with Mount Olympus looming on the horizon. Go there, now, and burn through your savings like a pirate. What's the catch: Greece is cheap because of an epochal debt crisis that has sapped the nation's spirit and left a million people out of work. The destructive austerity measures imposed by the troika (the European Commission, the European Central Bank, and the International Monetary Fund) have had disastrous and destabilizing consequences. The coffee shops are crowded with unemployed Greeks who will linger over a single cup all day. You probably won't be able to find a job there, but if you go with money in the bank, you won't need to. Why you'd want to live there: The country’s two largest cities, Porto and Lisbon, give you what so many places like Berlin and Prague can’t: panoramic seaside views and endless secret beaches. Gobsmacking Atlantic beauty isn’t the only reason to consider moving there, but it doesn’t hurt. 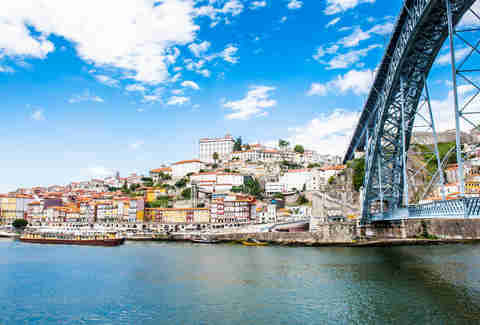 Both cities played a significant role in the country’s proud seafaring tradition and, like many port cities, both Lisbon and Porto are accustomed to welcoming travelers from across oceans. What’s the catch: Portugal’s economy wasn’t just dealt a blow by the 2009 financial meltdown; it was hammered, and the hangover from such a catastrophic economic event still lingers. There are some signs that the country is emerging from the wilderness, though. The federal government, led by Prime Minister António Costa, has rolled back several of the harsh austerity measures put in place during the worst years of the financial crisis, leading to some much-needed relief for the average citizen. Your dollars will spend well here.